December 12: Follow this link to a video of the construction progress at Central and Bryant! Plans for the three elementary school additions are being solidified. It is still our goal to break ground for these additions in November 2018. We anticipate the request for bids for the elementary projects to be posted in August. Planning meetings with the architectural and construction management firms and their respective experts are occurring on or ahead of schedule. We still expect to break ground in early summer of 2019 at the current high school to begin the transformation to our secondary campus. We hope to occupy the secondary campus with 6-12 grade students for the 2020-2021 school year. Construction costs are continuing to rise as our economy becomes stronger. This is great for our economy but presents challenges as the cost of building materials is high at this time. 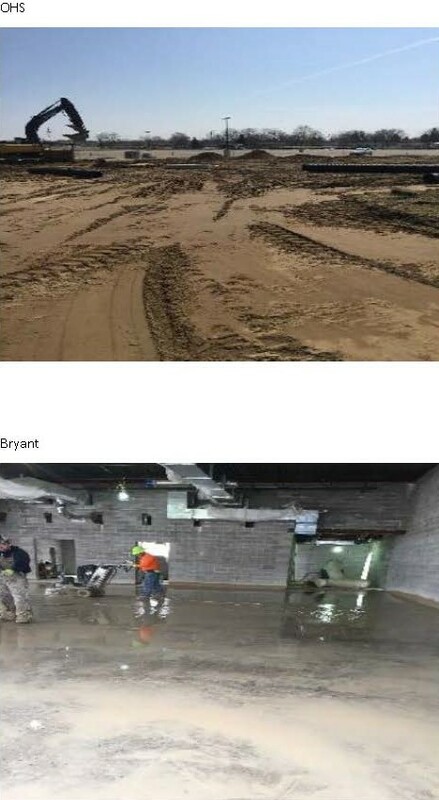 We are working in cooperation with the architectural and construction management on solutions that present the best possible learning environment for our students while being fiscally responsible. On April 25, 2018, all of the school districts bonds were sold to investors. 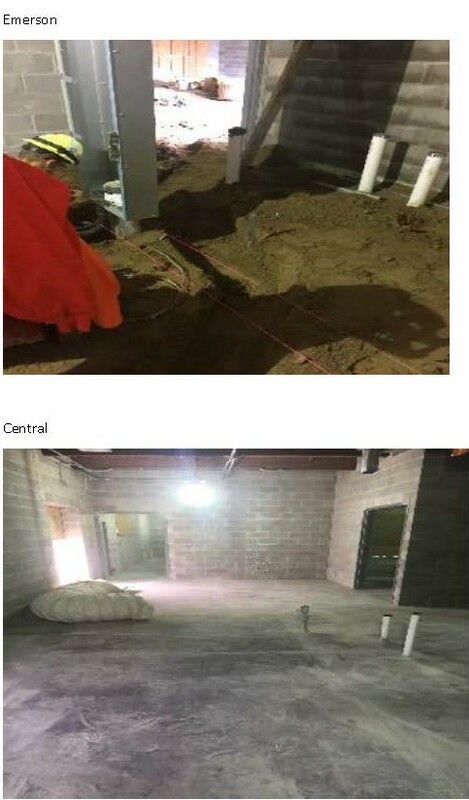 The elementary multi-purpose room design drawings have been completed and have been sent to the construction manager. The district and the architects are putting the finishing touches on the 6-12 secondary campus design drawings and hope to have those completed and sent to the construction manager for review during the summer of 2018. 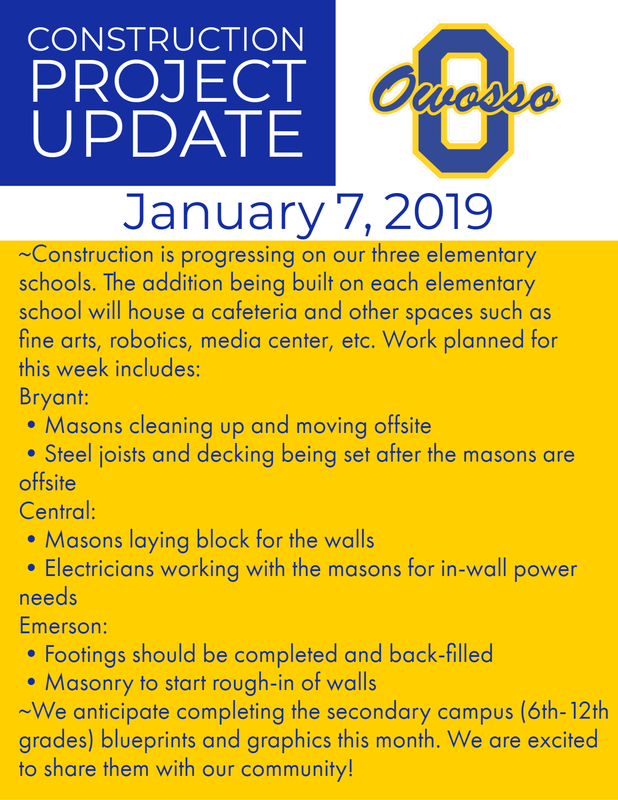 If all goes as expected, you should see some construction occurring in late fall 2018 at the elementary schools. Communication regarding the bond can be found on the district Facebook page, district website, parent newsletters, and in the Trojan Times. New developments will be shared as they occur. "On Tuesday, November 7th, our community demonstrated that education and our youth are priorities. I extend my gratitude to all the individuals who worked tirelessly on the bond education efforts and those who voted. Now we begin the exciting work of upgrading and renovating our schools. It is always great to be an Owosso Trojan and to be part of the greater Owosso community, but today, the pride in this community is overwhelming! Thank you Owosso for proving that our youth are your priority! A tremendous thanks to the large group of community and parent volunteers who collaborated to understand the needs of the district facilities, proposed a plan they felt the community could support and worked to educate the community about the proposal. Also, a huge thanks to the team of great people who represent Owosso Schools for all their efforts. 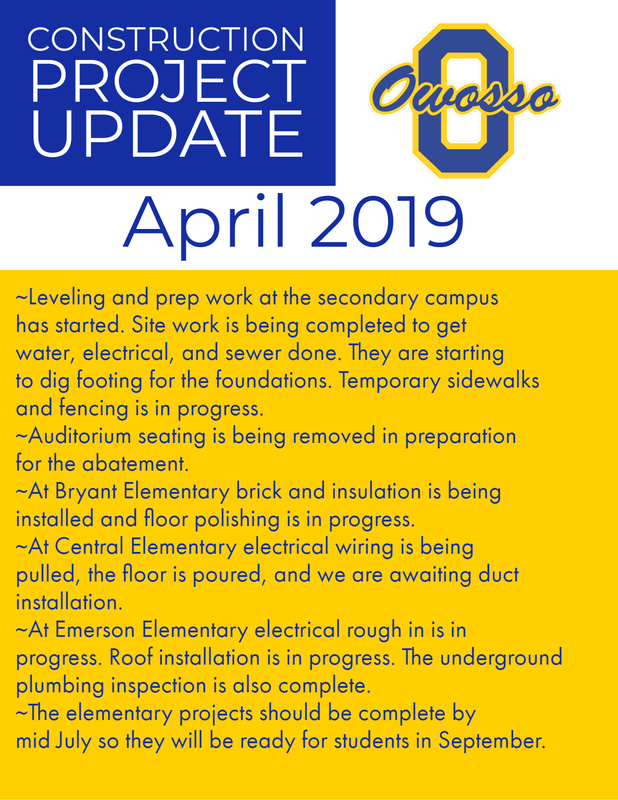 Great things are happening in Owosso all around us and the passage of this bond is yet another component of Owosso’s renewal." 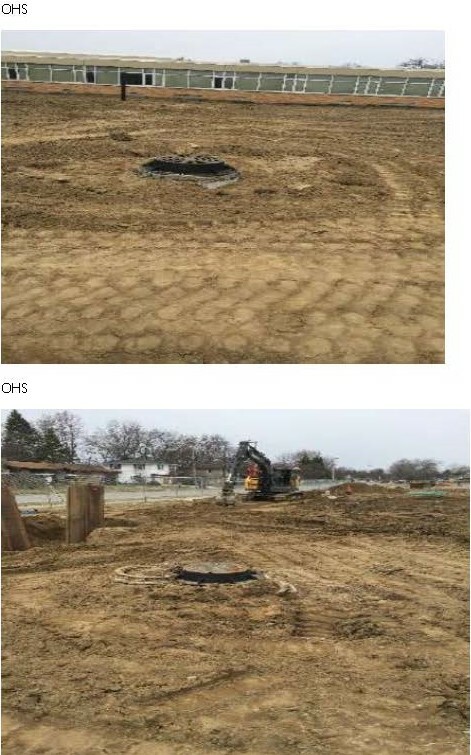 · Surveyors have started work this week to provide detailed topographical site surveys of the Owosso High School and our three elementary school sites. 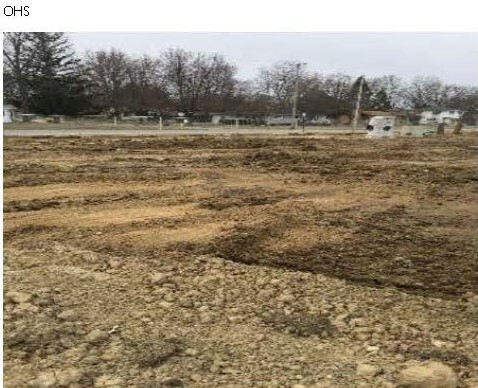 This baseline information is important to have prior to design work in order to understand where the best place to put additions, identify property lines, grading and drainage, and underground utilities. · Kingscott is preparing detailed design schedules and helping to organize design teams which will involve staff and community. · Kingscott will start organizing programming sessions/interviews with staff in early spring to assist in setting the guidelines for design. · Activity is currently limited now as funding for the project will not be available until bonds are sold in May 2018. The reason for the delay in the bond sale is to avoid having to pay for capitalized interest (saving money better used toward projects). · The design and documentation process will occur between April and December 2018. · Bidding and construction will begin in 2019.